Snoqualmie Springs School, commonly referred to as “SnoSprings” School, is a private, primary grade school for children between the ages of 4 and 8 years of age. We are located on the Sammamish Plateau, two miles northeast of downtown Issaquah and one block south of the Klahanie QFC Shopping Center, The rustic log school house is surrounded by evergreens and gardens, providing a uniquely warm, friendly and safe environment for learning. The school, founded by Laura and Joe Drovetto in 1998, provides a firm foundation in basic academic skills and promotes the development of habits that are necessary for life long learning. The entire staff at Snoqualmie Springs School is committed to the promotion of love and respect, role-modeling appropriate social behavior, leadership, listening, critical thinking, self-appreciation, self-motivation, self-direction, self-esteem, self-expression, good citizenship and etiquette. Annually our community is given an opportunity to complete our School Satisfaction Survey. In summary, 100% of the respondents agree that the Snoqualmie Springs Educational Program meets or exceeds their expectations. The early years (Pre-K through second grade) are an especially critical time in your child’s education as that is when he or she will learn essential skills such as reading, writing, and fundamental math. Private schools tend to offer a smaller class size, which means that your child will receive more one-on-one attention and support from teachers, which will help to establish strong skills in these key academic areas. If your child is able to really master these important skills early on, he or she is much more likely to have a successful academic future. Teachers in a private school setting have very high expectations of their students, and this is no different in the Pre-K or Kindergarten classroom. Parents that choose to give their children a private education also help to solidify these high expectations, which really helps to foster an environment for high achievers at an early age. The intimate private school environment allows teachers to truly get to know every student and his/her interests. Staff has the ability to nurture every student’s needs to become lifelong learners, and to work with each student to ensure their individual needs are being met. Teachers in a private school setting regularly communicate with families in a variety of ways. They set aside time to meet with parents throughout the school year and provide regular updates on a child’s academic progress. 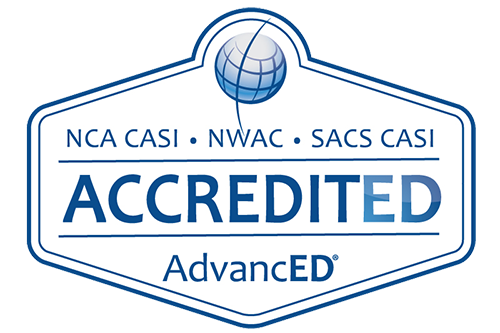 Is Your Private School Approved and Accredited? Before selecting a private school, make sure it is approved by the Washington State Office of the Superintendent of Public Instruction (OSPI). If not, and your child is attending a Kindergarten or first grade program, they may not be eligible for promotion into the next grade at another public or private elementary school.